Al Pacino was considered too short, Marlon Brando was required to do a screen test, and director Francis Ford Coppola was almost fired. Coppola was almost fired several times and met stiff resistance to the casting of both Pacino as Michael Corleone and Brando as the titular Godfather. Brando, who died in 2004, had made several box-office flops after a stellar career in the 1950s and had a reputation for being difficult. “I was told (by studio executives ) that having Brando in the film would make it less commercial than having a total unknown,” Coppola said. Brando created the rasping voice, jowly cheeks and oiled hair for Corleone in the screen test. Yet three weeks into shooting, there was more trouble. “They (the studio) hated Brando. 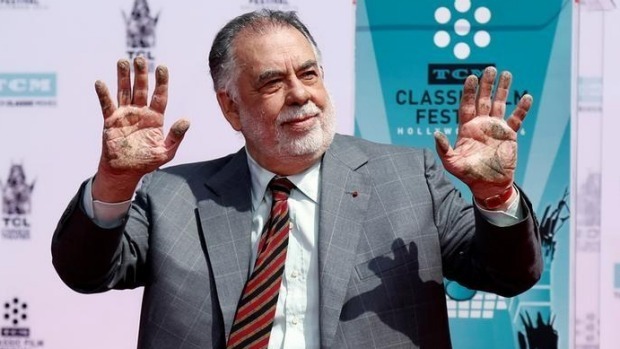 They thought he mumbled and they hated the film…It was very dark,” said Coppola. Brando went on to win an Oscar for his performance. Newcomer Pacino had to screen test “countless times” for the role of Michael, the college-educated son who takes charge of the Corleone business of casinos, gambling and racketeering. Studio bosses though he was too short and wanted to cast Robert Redford or Ryan O’Neal. Pacino said he originally wanted the part of the hot-headed son, Sonny, and thought Coppola “was really nuts” about wanting him to play Michael. “I thought this is either a dream or a joke…and then started the whole trial of them not wanting me and Francis wanting me,” Pacino recalled. The film launched his career as one of the most honored actors of his generation. Luck played a part in the creation of some of the most memorable scenes in the two films. The revelation by Corleone’s wife Kay (Keaton) that she had aborted their baby because of horror over her husband’s criminal activities was suggested by Talia Shire (Connie). And the cat Brando cradles in the opening scene of “The Godfather,” making for a stark contrast with his intimidating presence, was a last-minute addition.